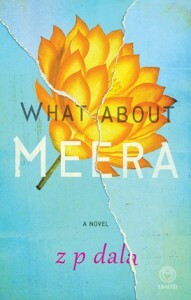 What About Meera tells the tale of Meera Narain, a twenty-two-year-old woman from Durban who escapes her abusive arranged marriage to run away to Dublin, where she takes up a job as a care-giver at a school for autistic children. After years of abuse at the hands of her doctor husband, Meera’s fractured and damaged psyche sends her spiralling into a doomed relationship with Ian Gallagher, the father of one of her autistic patients. The obsessive affair uncovers frightening truths about Meera’s childhood on a farm in rural KwaZulu-Natal, setting her on a destructive path of alcoholism and hallucinations. It is in this dangerous state that Meera commits a horrifying act and is ostracised from the world where she thought she would find happiness. Pulsating with life and colour and a considerable amount of black humour, What About Meera is the gripping story of a woman’s attempts to rise above her circumstances and take control of her fate. Z. P. Dala is a freelance writer and a psychologist at a school for autistic children. She has been the runner-up in several short story competitions, including an Elle short story contest in 2012, the SA Writers’ College Short Fiction Contest in 2013, and the Woman & Home Short Story Contest in 1999 and 2012. She was awarded second prize in the Witness True Stories of KwaZulu-Natal competition and was long-listed for the Orange Prize for short fiction. 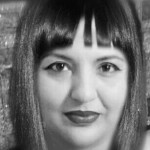 She has lived and worked in Dublin, Ireland, and currently lives in Durban.